What Reliable Resources You Need to Know about if You Have Cancer? No matter what you did to prepare yourself, being told you have breast cancer had a devastating effect on you. And before you had time to think straight, you were provided with lots of information, not only from your doctors but from friends and family too. But no matter how you reacted to the news and subsequent events, you eventually got to a place where you could start thinking a�?Ia��m ready. Where do I go from here?a�? Now that you are ready, here are some resources you may need that we reviewed and found to be reliable sources of information. Your oncologist can be depended upon to provide you with medical information about your cancer treatment options, management of side effects, clinical trials, etc. More specifically, if you want additional confirmation of your specific cancer treatment you can use OncoGambit. 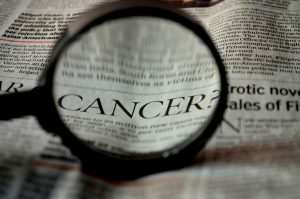 The report you get from OncoGambit will serve to confirm that your cancer treatment recommendations are specific to your cancer and that they have been studied, tested and approved by experts in the field.A� The information you get in the report includes the specific drug names, doses, frequency, and duration of treatment that is specific to your cancer. If you are looking for detailed information regarding your cancer treatment drugs then this is the site for you. You can also use other sites that have less personalized treatment information but are reliable, such as A�American Cancer Society, Susan G. Komen for Cure, and National Cancer Institute. These sites provide information about all things general to cancer and cancer treatment. They are a very good source of basic information that you will help you feel more confident and informed in your cancer journey. Clinical trials are research studies that test the safety and benefits of new treatments or new diagnostic methods compared to the current standard of care. We have made significant progress in the fight against cancer as a result of patients participating in clinical trials. By enrolling in a clinical trial you can help in finding more effective ways to treat or cure cancer.A� If you are interested in participating in clinical trials, a very thorough source of open clinical trials is ClinicalTrials.gov. This is the largest clinical trial database (includes over 200,000 clinical trials) that is run by National Institute of Health (NIH). Another reliable source of clinical trials is BreastCancerTrials.org. This site provides you not only with information about breast cancer clinical trials but it also identifies trials that may be right for you. Some of the best sources for information about the management of chemotherapy side effects are right there with you. The healthcare team, i.e. your doctors and nurses, can help you. They can be especially helpful, as they have seen a multitude of patients and can advise you on side effects that you may experience based on your personal medical history, diet, and lifestyle. The information you will receive may be more personalized than what you will find on most sites, as most sites include general information that may not apply to your individual case.A� American Cancer Society is a reliable source of information regarding chemotherapy-induced side effects, however, additional information can be found at Cancer.net, Susan G. Komen Foundation, or National Cancer Institute. Going through cancer on your own can be a harrowing experience and leave a person feeling distressed, scared, or lonely. Emotional support in the form of patient-to-patient networks and support groups can help cancer survivors and patients deal with these kinds of issues.A� In addition, your oncology team can be especially helpful in providing you with referrals to counselors and social workers. It is important to let them know if you need additional emotional support. Having a strong support network will help you not only during treatment but potentially for the rest of your life, as you will continue to be a cancer survivor. A cancer diagnosis is a life changing experience and thus it will require a life changing approach. The way people respond to such a diagnosis will vary for everyone. Some people will be angry while others will go into shock and still others might feel sad or scared. While the fortunate ones will have loving families surrounding them to get through this time, that might not always be the case. Additionally, your supportive family may not be able to understand how it feels to have cancer. Joining a good support group could help with the feelings of loneliness and isolation that you might be facing as a result. Groups headed by professional facilitators who can help inform, advise, and educate. Your oncology doctor or nurse may have information about local support groups offered by their institution or local hospitals. There are also several organizations that can provide you with local support groups, including American Cancer Society, Susan G. Komen for the Cure. A�BreastCancer.org has an active online support community, if you prefer not to attend an in-person support group. Regardless of your preference (online or in-person) you should strongly consider joining one. Your support groups peers will support you not only through treatment, but they may also additional resources that may not be readily available on the internet or your doctora��s office. The burden of cancer isna��t just cancer. A�Financial difficulty is a major part of the cancer burden. TheA�financial difficulties that come from cancer treatment are all too real. As a result patients avoid or delay care or do fill in their prescription drugs. It can also cause stress that can lead to mental and physical health problems. Dona��t let financial difficulties interfere with your treatment. There are several resources that can help you manage the growing medical bills and continue your treatment in an effective way. There are several resources that can help lessen the financial burden for patients and their families. Such resources can be contacted to provide financial support when it comes to insurance, medical bills, and reimbursement. For individuals who cannot afford cancer treatment, there are other options, such as patient assistance and co-payment programs. Other types of support, such as transport assistance, children care, and lodging are also available. Depending on where you are located, you can get your local government to help you by providing low-cost transportation. The government agencies will also come in handy when it comes to providing information about disability, Social Security, Medicaid, food stamps etc. American Cancer Society can assist with transportation issues by enlisting the help of volunteers to transport patients to treatment and back. A�They can also help with lodging, if you are traveling long distances for treatment or your treatment is frequent. The Cancer Financial Assistance Coalition (CFAC) lists various organizations that work on national and regional levels to provide services, such as financial assistance for people with cancer. Pharmaceutical companies can also help with referrals to co-pay relief programs or provide you with discounted or free medications if you are not eligible for other assistance. Ask your doctor or nurse to reach out to the pharmaceutical companies about assisting you with options. You can also contact Partnership for Prescription Assistance for information about which pharmaceutical companies manufacture the drugs you are receiving and what they can do to help. Another useful resource for cancer financial assistance is CancerCare. They offer not only co-payment assistance but additional support to cancer patients, including counseling, and support groups. Starting a GiveForward fundraiser for a loved one battling cancer can help raise additional money for cancer treatment. Starting a fundraiser will not only provide a platform for friends and family to give financial support but also a place where friends and family can leave encouraging words and where you can post updates to keep them in the loop. If you experience significant financial strain, please dona��t be reluctant to inform your doctor or nurse, as they may be able to offer additional guidance and resources. Most of the time, the cancer care team is not aware of the financial difficulty you are experiencing. Although the information on this blog is not complete, it will provide you with the most reliable and easily accessible resources. We will continue to update this list, as we discover other reliable resources, so be sure to check back intermittently. Until then, we hope this information helps make your cancer journey easier.